A dazzling, stylish biography of a fabled Parisian photographer, adventurer, and pioneer. A recent French biography begins, Who doesn’t know Nadar? In France, that’s a rhetorical question. Of all of the legendary figures who thrived in mid-19th-century Paris—a cohort that includes Victor Hugo, Baudelaire, Gustave Courbet, and Alexandre Dumas—Nadar was perhaps the most innovative, the most restless, the most modern. The first great portrait photographer, a pioneering balloonist, the first person to take an aerial photograph, and the prime mover behind the first airmail service, Nadar was one of the original celebrity artist-entrepreneurs. A kind of 19th-century Andy Warhol, he knew everyone worth knowing and photographed them all, conferring on posterity psychologically compelling portraits of Manet, Sarah Bernhardt, Delacroix, Daumier and countless others—a priceless panorama of Parisian celebrity. Born Gaspard-Félix Tournachon, he adopted the pseudonym Nadar as a young bohemian, when he was a budding writer and cartoonist. Later he affixed the name Nadar to the façade of his opulent photographic studio in giant script, the illuminated letters ten feet tall, the whole sign fifty feet long, a garish red beacon on the boulevard. Nadar became known to all of Europe and even across the Atlantic when he launched “The Giant,” a gas balloon the size of a twelve-story building, the largest of its time. With his daring exploits aboard his humongous balloon (including a catastrophic crash that made headlines around the world), he gave his friend Jules Verne the model for one of his most dynamic heroes. 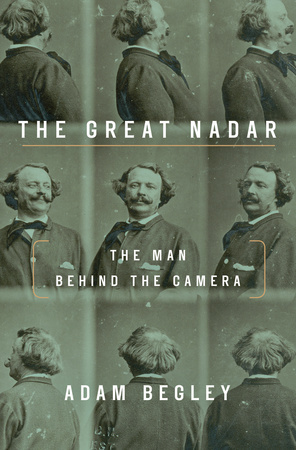 The Great Nadar is a brilliant, lavishly illustrated biography of a larger-than-life figure, a visionary whose outsized talent and canny self-promotion put him way ahead of his time. Baseball season has officially begun and we’re featuring some of our favorite titles perfect for the fans at your library. Click for More Books to Help Your Patrons Celebrate the Boys of Summer. 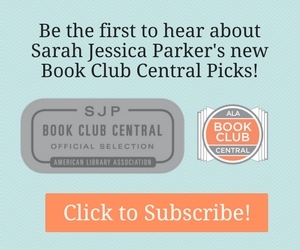 What Will You Read for July? What Will You Read for July 2018? August 2018 LibraryReads List Announced!